On the streets of crowded Barcelona, visitors may feel the need to escape the chaos of the city and relax a bit. So last week, with the sun on my side, I decided to spend an afternoon in Badalona. It was a relaxing day and I was certainly surprised by the tranquility of this small city on the Catalan coast. Getting to Badalona is simple and in just 15 minute of riding the train you can arrive from Barcelona. Upon arrival, I knew absolutely nothing about this city, in fact, the only thing I was told was "There's nothing to see there...". I love a challenge, so there I was in Badalona, fresh off the train and ready to go. 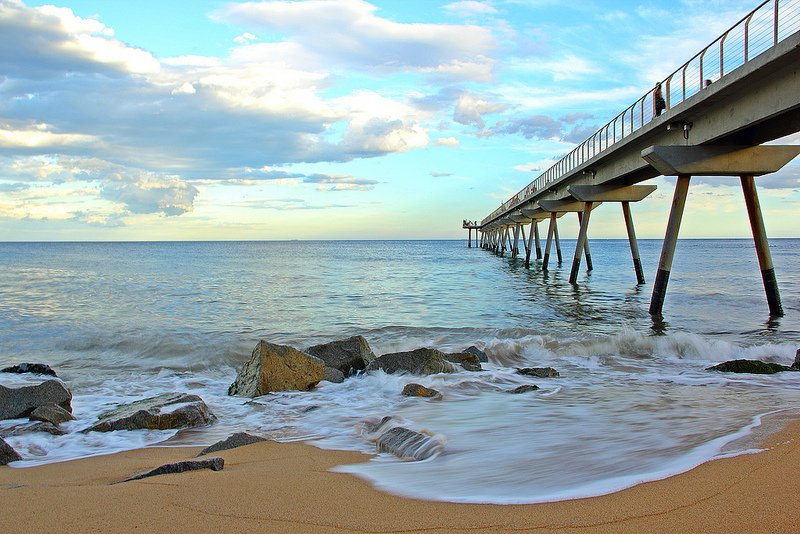 The problem was that it wasn't a challenge at all... You see, Badalona has lots to offer! Continuing the coastal walk, I gazed upon one of the most well-known landmarks of Badalona, the Petróleo Bridge. Although "Petrol Bridge" may not sound particularly romantic, taking a stroll down it as the sun begins to set can make for some beautiful photographic opportunities, as it stretches out as far as 250m into the sea. At the edge, it's as if you're floating about the sea and a distance from the city. It's a great feeling to sit there for a while and take a deep breath... That's not even mentioning the lovely views of the Costa Maresme. Heading back to the mainland right at the entrance to the bridge there is a little monkey whose contagious smile put a smile on my own face as I looked upon him gazing intensely upon his bottle of anis. Don't worry though, it's not a real monkey, but rather a statue that represents a local brand who produces a famous liquor called "anís del mono" or Monkey's Anise. The statue is an interesting insight into local culture, as it's loved by the children and no one seems to be bothered about "bad influences" here as they may be in other places on Earth. Snapping a photo of yourself with the Anise Monkey is obligatory. Moving further inland, I decided to see what's going on in the centre of Badalona. It was easy to get lost amongst the narrow pathways, plazas, and painted houses adorned with beautiful colourful flowers. While snapping numerous photos, I reached the historic Dalt de la Vila district. 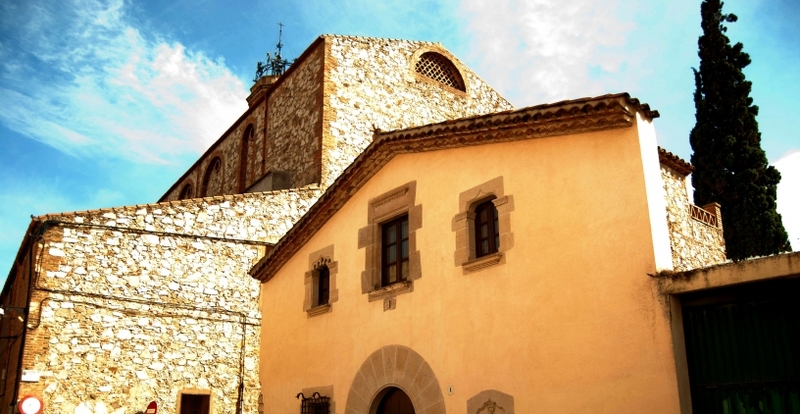 The name translated to "Top of the Town" and is called this way because of its location at the foot of the hill where you will find the famous Santa Maria Church. 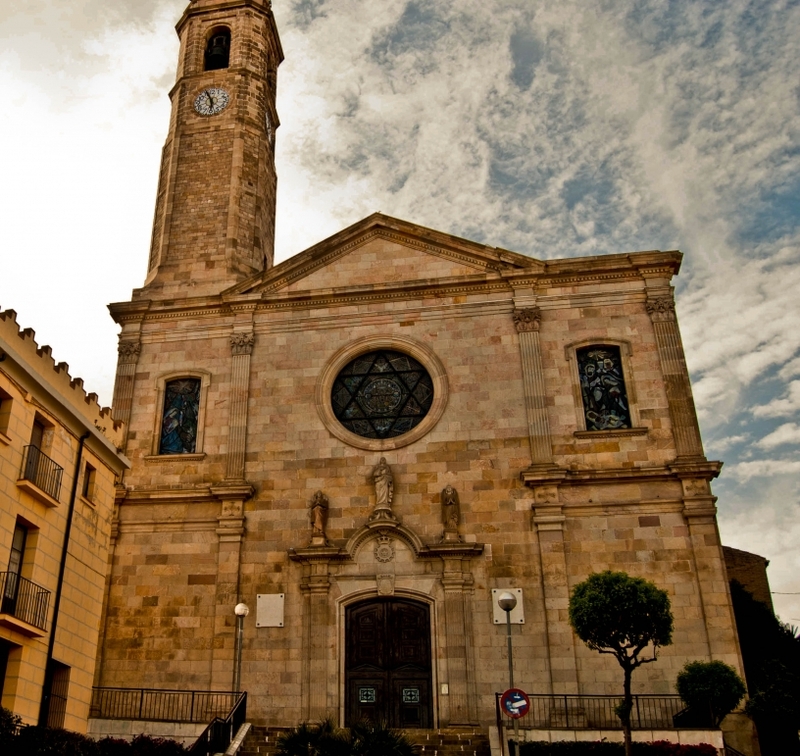 Its bell tower is a great example of historic architecture in Badalona. Finishing the tour of the historic centre, I just realized that I'd lost track of time and the hour I had planned to return to Barcelona had already passed! Instead of heading directly back to the station, I took a detour down the Calle del Mar. Just like a Rambla, it's full of shops, bars, and restaurants. It's was almost like an open-air shopping centre as the traders were placing their products directly outside of the shops on stalls in the street. The great thing about Badalona is that it's so small that once you cross "Sea Street", you're already just a few steps from the station! Italian Journalist and photography aficionado. I am literally in love with Barcelona, the city where I have lived for three years. I love strolling through the streets and immortalizing every detail of this beautiful city with a simple snap of the shutter. Lost in Trainslation A bittersweet experience at Barcelona Train Station! The introduced email address is not valid. Please, introduce a valid email address. Your email address has already been registered with us and you should already be receiving our latest updates and articles. If this is not the case, please check your spam and/or contact us. Thanks! Thank you, you have registered successfully and will begin to receive our updates and articles.